Edit: added some minor color variances.. looks much better now..has more depth.. wish I knew how to do 3D modeling this would be fantastic then! Okay, so maybe I was a bit hasty in saying I had the final design of the Tardis before.... but I figure I have the final final version now.. and it looks much better..
At least I think so..
the Tardis once the main section is grown, the pillars and the control ring are added as well as the time sceptre, and then the ship is made to grow and expand.. as you see in the larger model.. There is someone working on a Science fiction at war mod for star wars empire at war. He has the tardis prominent in the mod but not built yet. I went looking for images and models in the time war context. There is not much. Your doing the best stuff. I can do some 3d modeling. I will see what I can create but I'm not an expert and I do get busy. 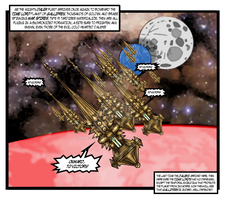 I am thinking that in a game context the "bigger" ships would just be tardises with there trans dimensional systems turned off to power big weapons. Pop big --Zap -- pop small. This has given me a lot of game ideas. Well You could always model the Battle TARDIS.. I have that design on the way, with a complete console room layout. so in the observation tower what are they observing? the interior's exterior or what? 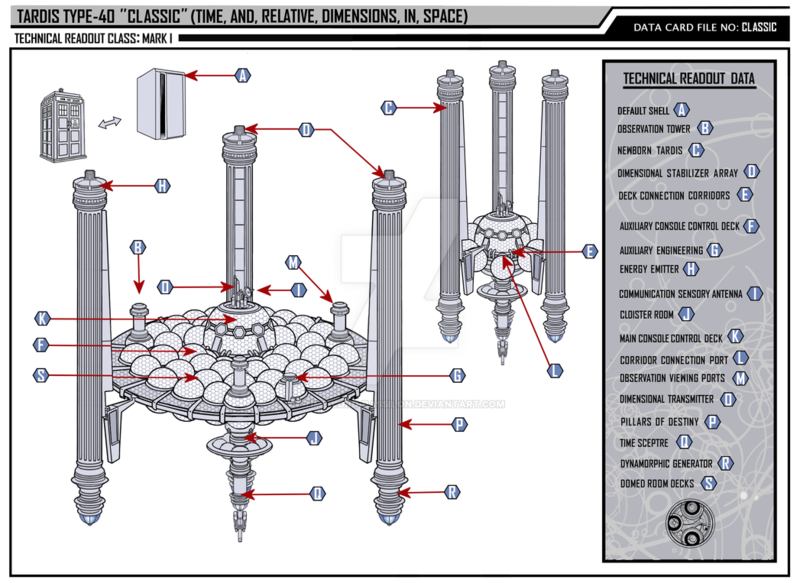 Yep, according to the novel they are looking at the top down view of the isidea of the Tardis dimension ship inside. Im going to pretend to be a layman to choose my words in a manner as simple as possible. The bubbles are rooms, and the big bubble in the center that has bull's eye windows is the entrance area and the bridge..
And the big one is older than the small one because it spawns more bubbles at it grows older. Is this an actual design or did you come up with it. Either way it's brilliant! 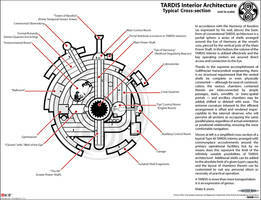 it was an earlier design of what I thought the TARDIS was.. However, I have come to realise that the ship itself is much different, and the concept behind it's "growth" is totally different then what i had done in this image. But I am glad you like it all the same. But what exactly do the pillars of destiny and time septer do? 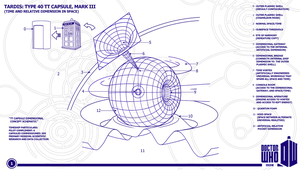 that actually was an old theory of how the Tardis worked based on an interpretation done by a novelist who wrote a book based on the 7th doctor and ace.. it is not a good design in my point of view.. the newer design, which is more likely and accurate is the large construct which resembles a ball..that version is more quantum theory related and seems much more plausible. So is the time rotor not really that important any more or is it just joined to other systems that are seen on the outside. actually in the new design, the Tardis console section is located about 5 to 7 floors above the main drive, and aux drives..
above that are various sections and rooms within the ship.. the upper levels are where the Tardis memory sections are located. 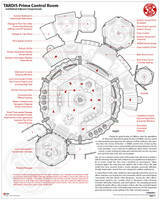 They display (holodeck views) of where the Tardis has been on it's travels.. per the Doctor who comics.. 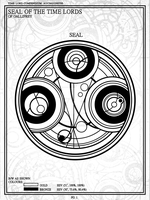 I am incorporating things that fit with the show that aren't in the program with the compendium and Tardis guide to round out the ship. Thank you for this! And the others in the series! I like seeing this side of such amazing technology - you make it seem plausible. thanks! just wait, I have much more coming which will dwarf any of the art I have done recently.. Cool concept- I dig it! Though I feel we should never, ever see what the TARDIS's "true" form is in the series itself, I wouldn't be too dissappointed if it looked like this. Nice touch w/ the SIDRAT style "default shell", too. thanks man! 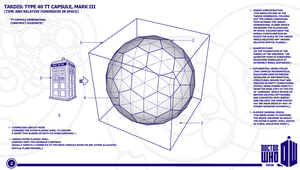 Yeah I doubt they will ever show the exterior of the interior either, however, I too would love to see my work utilized by the BBC someday..
the SIRDAT shell was used in the episodes "The War Games." 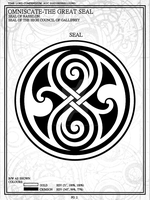 But if you notice at the end of the series, they end up in a Tardis landing bay, and You see others around which have the same form.. there were only 2 left in service by the end of the series, so the other sin the bay are thought to have been the default shells.. I figured that why not do it that way then.. and I too am pleased with how this turned out..I changed some minor details so this design looks much more in depth.. hope you like it..